RETIRING OWNERS ORDER IMMEDIATE SALE! PROPERTY DESCRIPTION: This historic landmark is known by all throughout the region. Built circa 1948, this 20,000 SF, fully restored 10-Lane Bowling Alley, Bar, Party/Event Center and Museum. Parking for over 150 vehicles on the 1.35+/- acre lot. All systems and mechanicals regularly serviced and maintained. Full-service catering kitchen with two walk in coolers, dishwasher, ovens, stoves and other amenities. 10,000 square foot event center. New pins, electronic scoring systems, flat screen televisions and monitors and bowling systems. High Bidder will acquire all of the right, title and interest to the assets of the operating businesses, including the D5 and D6 liquor license. Annual Net Operating Income is over $55,000! 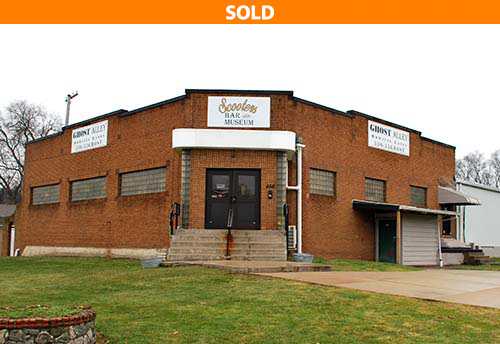 INVESTMENT GROUP ORDERS IMMEDIATE SALE! INCREDIBLE DEVELOPMENT OPPORTUNITY! PROPERTY DESCRIPTION: Located just minutes from I-271, I-480, along the famed Bedford Auto Mile, in the middle of high density residential and retail businesses, immediately adjacent to the former Bedford Wal-Mart Supercenter at the corner of Rockside Road and Northfield Road. 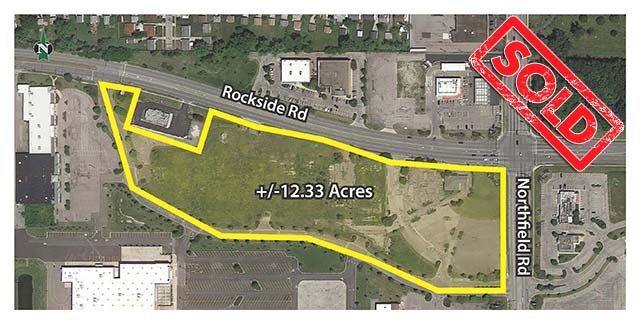 Consists of 12.33+/- acres of fully improved and developable land that fronts on both Rockside and Northfield Roads. Could be very easily demised into multiple smaller outlots for future development or kept as one large tract for a single user. A freestanding, former First Merit Bank building with drive thru is also included. Currently zoned B-3 Shopping Center District. 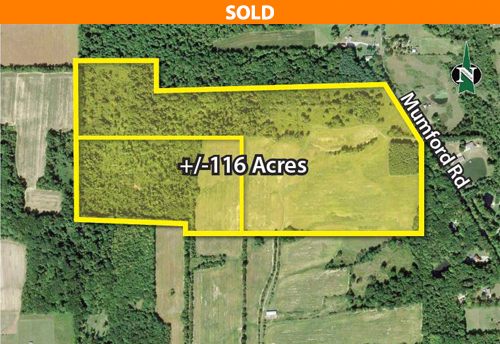 PROPERTY DESCRIPTION: Located in Portage Co. just south of Geauga Co. and just west of Trumbull Co. in the middle of a very rural area just 8 miles from Mantua and 10 miles from the I-80/SR-44 Intersection. Consists of 116+/- acres of land that is zoned Residential/ Agricultural which would allow for continued use as farmland or a new residential development. Property includes all mineral and gas rights. This is truly a terrific opportunity for the astute owner/operator or builder/developer.